Usually I get a lot of painting done when watching TV series – I kind of just listen and half watch while painting, but I’ve just been so worn out and tired I couldn’t even focus on miniatures I was wanting to paint – even with my new reading glasses! So I actually just WATCHED the whole season. Anyway, on to the minis! 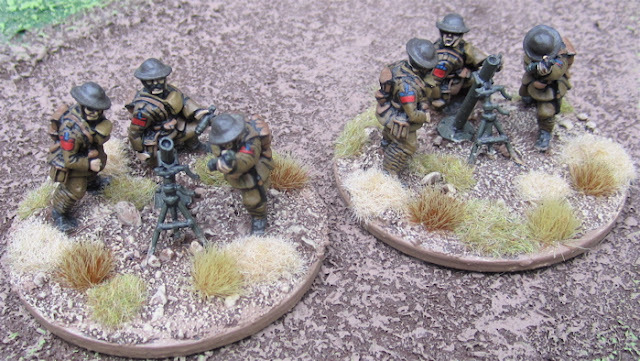 Some spare figures from Old Glory Miniatures that will be pressed into service as Brigade staff and signaler/runners. More Canadians of the first division. Actually now I have the Trench mortars finished up I could take a pictures of the whole 2nd Brigade – which I now complete! I totally broke my gaming budget for the year and ordered the next three brigades worth of figures (from Wargames Foundry, First Corps , and Gripping Beast/Woodbine Design) so hopefully they’ll be start showing up soon-ish and I’ll get to work on those. 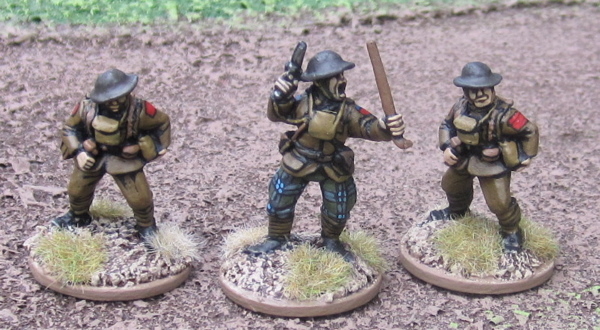 I was going to order one more brigade from Irregular Miniatures just to be a completist.